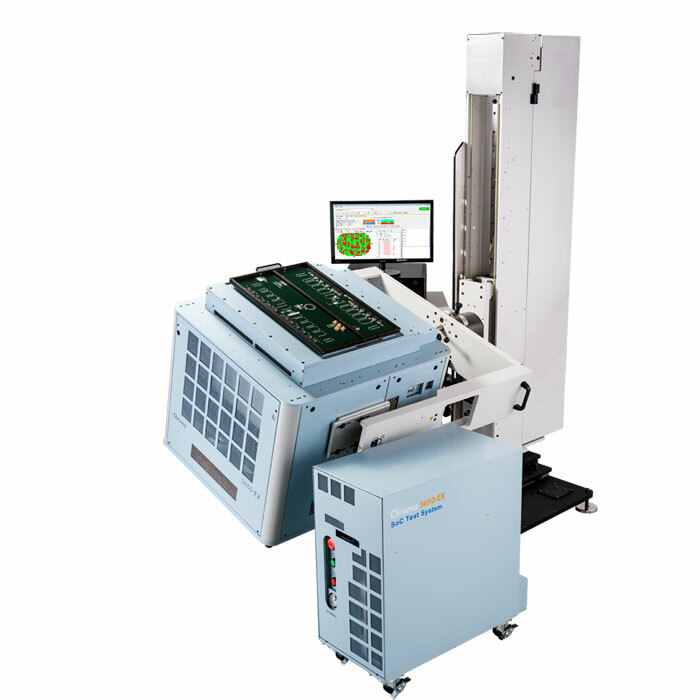 Milpitas, CA, April 27, 2016 – CORWIL Technology (CORWIL) continues to demonstrate its full turnkey capabilities for its customers by adding a 3650 EX tester from Chroma ATE on their test floor. CORWIL chose the Chroma 3650 EX tester not only for the machine’s ability to test more devices faster and provide a higher parallel test capability, but also because of the tester’s ability to offer the most cost effective solution in the industry today that CORWIL can then pass on to its customers. “CORWIL is pleased to add the 3650 EX to our list of available test platforms. The older 3650 has proven to be a reliable platform over the last year for CORWIL customers and through our partnership with Chroma, CORWIL can now offer the 3650 EX with advanced features. This system will be a good fit to the package handler and wafer prober support that CORWIL also offers,” said Joe Foerstel, VP of Test Operations at CORWIL. CORWIL Technology provides high quality and responsive semiconductor assembly and test services focusing on Hi-Rel, fast-turn and wafer processing markets. Founded in 1990 and based in Milpitas, CA, CORWIL is the premier U.S. provider of full back-end assembly services and is a key partner with leading medical, Mil/Aero and commercial semiconductor companies. For more information about CORWIL, please visit www.corwil.com.